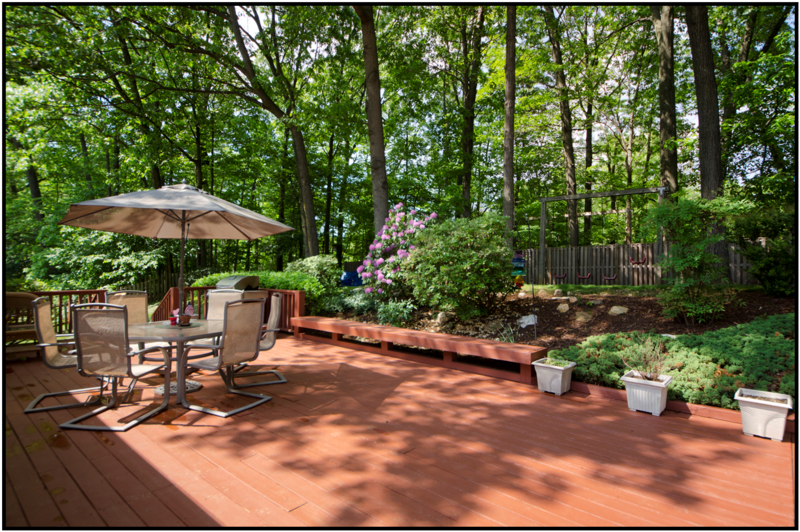 New Listing: Main Floor Living in McLean’s Sought After Timberly! If the thought of the ease of main floor living is appealing to you (and who wouldn’t it appeal to?! ), then our new listing on Crossover Drive is the ideal home for you! The added bonus is that this fabulous home is located on a private, almost 1/2 acre lot in the sought after Timberly neighborhood. 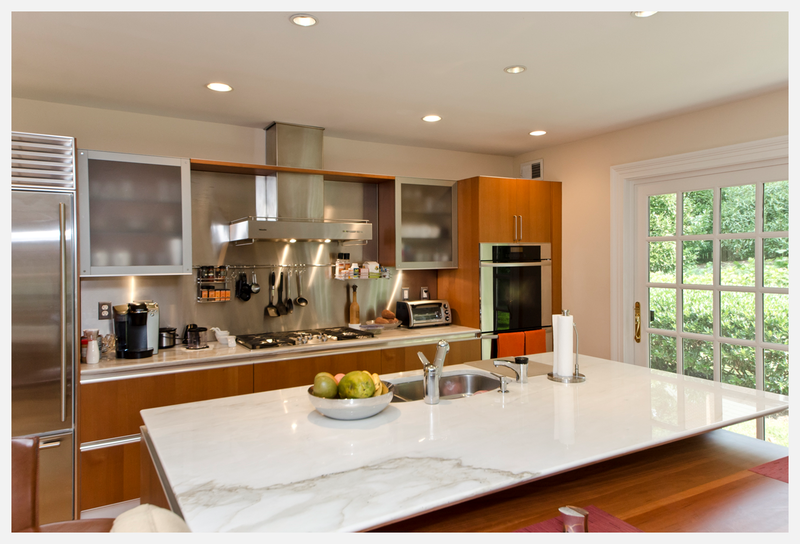 Substantially rebuilt with the highest quality of finishes, materials and appliances (just LOOK at this kitchen! ), it’s also professionally landscaped and absolutely lovely. A wonderful location for commuters, close to many amenities and in the Langley High School pyramid! Most of what we write about on our blog is real estate. And that’s serious business. But sometimes things come up that are even more important. This is one of them. 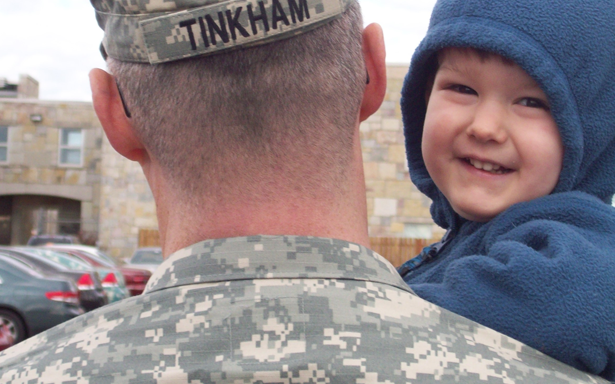 4 of 5 children of Active Duty Military Personnel and Reservists face increased stress while one of their parents is deployed in defense of their country or while recovering from severe injuries suffered during deployment. More importantly, YOU CAN HELP by helping us raise money for “Stop Solider Suicide” and “Our Military Kids”. SPONSORS: We are seeking sponsors for the event. LOTS of opportunities remain. And 100% of sponsor donations go to the charities. Whether you are prepared to donate $10,000 to be a Presenting Sponsor – or $350 to sponsor a Tee Box, there’s an opportunity to help. This is a PREMIUM opportunity to get your name & face in front of quite a few Realtors, CEOs and other Power Brokers and Power Connectors in Northern VA.
CAN’T COME, BUT WANT TO DONATE: You can donate online here. KW McLean Cares is our 501(c)(3) charitable arm. Our motto is “We Give Where We Live“. And so we have chosen two local charities to benefit from our KW McLean Charity Golf Tournament & Auction: “Our Military Kids” and “Stop Soldier Suicide“. 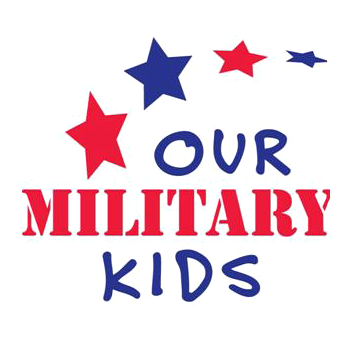 Our Military Kids provides support in the form of grants to the children of National Guard and Military Reserve personnel who are currently deployed overseas, as well as the children of Wounded Warriors in all branches. The grants pay for participation in sports, fine arts, camps, and tutoring programs that nurture and sustain children while a parent is away in service to our country or recovering from injury. The second charity we selected is “Stop Soldier Suicide“. Stop Soldier Suicide is the first national civilian not-for-profit organization dedicated to preventing Soldier and Veteran suicide. I’ll bet you would be surprised to know that there are 1 Active-duty Soldier a day and 22 Veterans a day taking their own lives. This group is committed to helping their brothers and sisters in arms get the help they need, without shame or fear of losing their military post. Contact The Belt Team for more information. Are you looking for a fabulous, move-in ready townhouse in the Cascades/Lowes Island area? Then stop by our open house this weekend. You just might find your dream home! You’ll enjoy 1,852 beautifully finished sq ft, 3 bedrooms, two full baths AND two half baths, gourmet kitchen with fresh paint & new stainless appliances in 2013/14, vaulted ceiling master with walk-in closet, finished lower level and more! 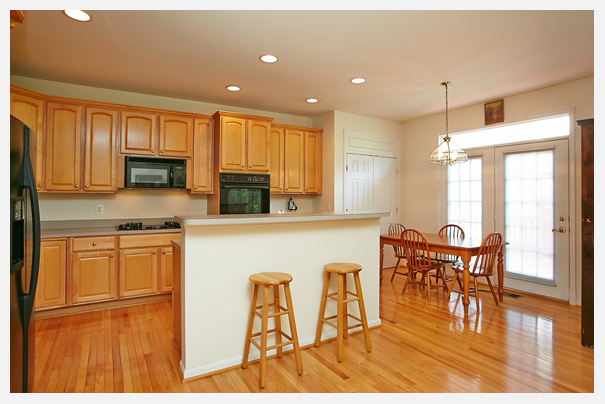 You can get a peek at more 47644 Windrift Terrace photos here! Call Beth Dadisman at (703) 577-1144 to schedule a showing! 3 Years Young & Less Than 2 Miles To Metro – Open Sunday! This 3 year young luxury home beauty is just 1.6 miles from the Vienna Metro – on a private lot on a peaceful cul-de-sac! You’ll enjoy 5 bedrooms, 4.5 baths, a dream kitchen and an impressive master suite with sitting room and upgraded bath with Italian tile & granite countertops. 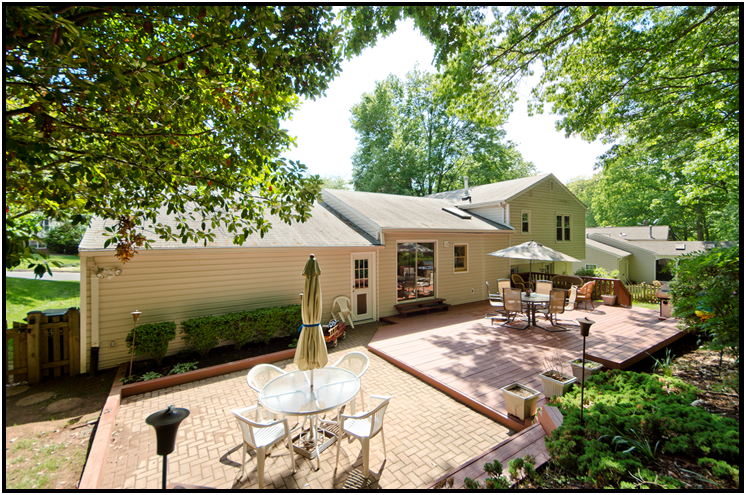 Call Kevin Kleifges & The Belt Team at (703) 242-3975 to schedule a showing if you cannot make the open house! The real estate market in Northern Virginia is continuing to experience a subtle shift. While we’re still seeing competitive situations and multiple offers on some homes in some areas, other areas are seeing average time on market as high as 6 months and housing inventory of more than a year. If you’re thinking of buying or selling your home, you will definitely want to take a look at these numbers – because numbers tell a story! The area and price range you’re looking in will vastly affect what strategy you employ. On the other hand, if you’re looking in Burke, you’ll find the complete opposite. Average days on market for active listings is less than two months. And there is only a 2 month supply of housing. Less than 3 months housing supply means that Burke is still experiencing a Seller’s Market. What does this mean? Sellers may still be able to push the envelope; and Buyers will likely find themselves competing for homes. This means Buyers need to adjust their contract strategy accordingly – being prepared to offer more, use an escalation clause, drop contingencies, offer a free rentback or a number of other strategies. When you look at the chart above – what you’ll see is that in general, the higher price areas (like Great Falls & McLean) are starting to see longer marketing times and a much larger housing supply. While the more affordable areas (like Burke & Springfield) are still firecely competitive. Areas like Vienna, Oakton & Ashburn are experiencing what we call a “W” Market. Buyers in these markets are extremely price sensitive and there are pockets of Buyer & Seller submarkets embedded within each – some Seller’s, some Buyer’s, some Balanced Markets.. As an example, we recently put 3 listings on the market in Vienna between $800,000 and $900,000. One had multiple offers and sold in 3 days over list price. The others are still on the market. We are seeing Buyers step back and make much more considered decisions – sometimes not even looking at homes they feel are overpriced, and/or not being able to look past issues like dated kitchens. This means Sellers must be much more on target when setting that initial price in order to end up at the top of the W, and not at the bottom. 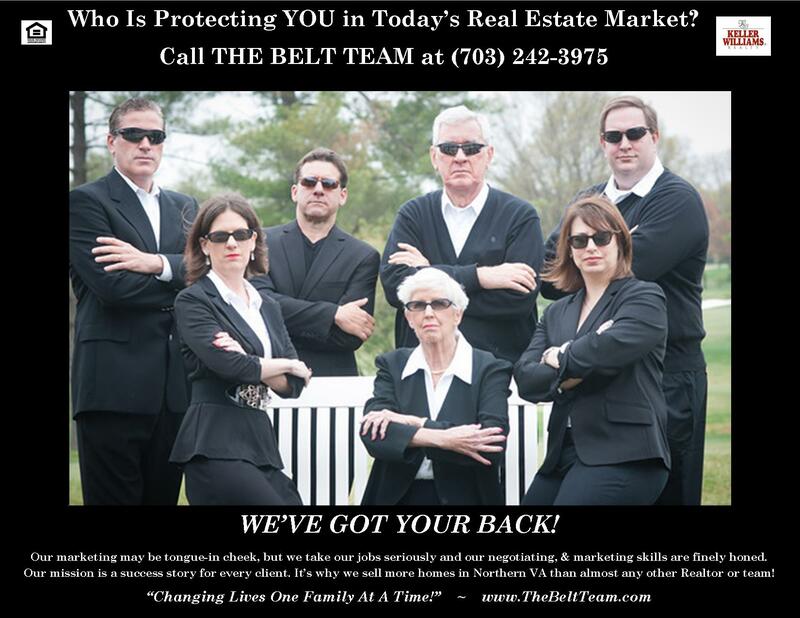 For more info about YOUR neighborhood or the neighborhood you WANT to live in, contact The Belt Team at (703) 242-3975. We’ll help create a personal strategy for YOUR market. regardless of whether you’re buying or selling, you deserve the BEST Real Estate Team in Northern VA! If you were out and about near Jackson Tavern Way in Great Falls recently – that’s what you might have been thinking to yourself! Here at The Belt Team, we pride ourselves on being on the leading edge of real estate technology. What does that mean? Well, we have a State-of-the-Art Home Search site our Buyers love because it’s FASTER than other web sites (which is great in today’s competitive market!). We’re totally social media savvy (not just “pretenders”) and our Sellers love that because their listings get so much more exposure to potential Buyers. If you’re looking for a gorgeous custom luxury home in Herndon’s Reserve at Stone Hill, you’ll definitely want to take a look at our brand new listing! Here’s a sneak peek! Full description and lots more photos of 12616 Winter Wren Ct in Herndon Call Tom Reilly & The Belt Team at (703) 629-1263 to schedule a showing! 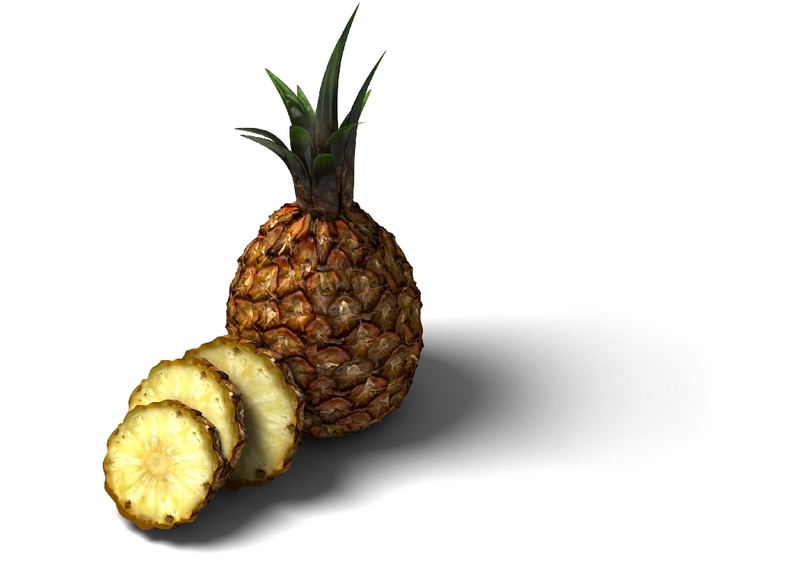 Fresh Like Pineapple – And Open Sunday, July 20th in Sterling! “Fresh like pineapple”. Someone I know likes to use this phrase a lot and it always makes me laugh. But I think that’s an appropriate way to describe our townhome listing on Windrift Place in the Cascades/Lowes Island part of Sterling – because it’s got a new, fresh look! It’s actually an awesome kitchen with granite countertops, island cooktop, stainless steel appliances (including a 2014 Kitchenaid cooktop, and new 2013 built -in wall oven/microwave, refrigerator & dishwasher), lots of cabinet space, convenient pantry, fabulous bay window breakfast nook and an atrium door with trasnsom that leads to a wonderful deck! Not everyone liked the blue paint. 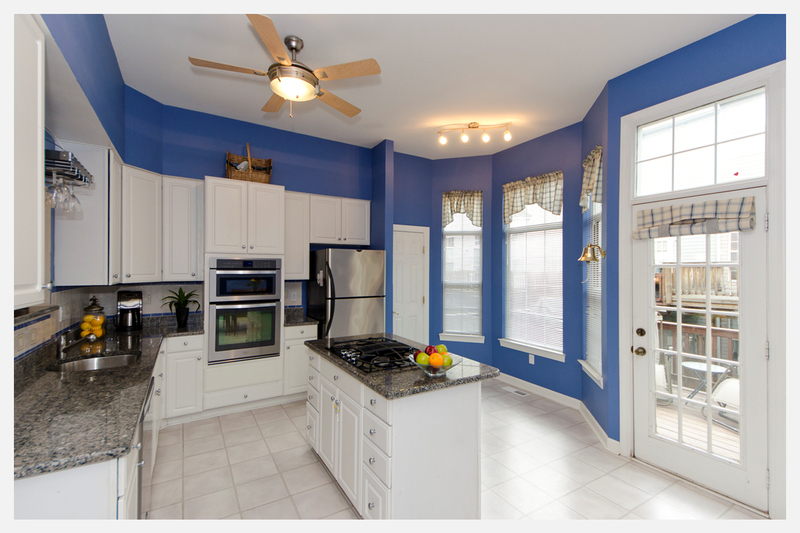 SO – the owners have had the kitchen freshly painted. No more blue paint. AND they reduced the price $10,000 to $369,900! Come out to see what the NEW kitchen looks like. 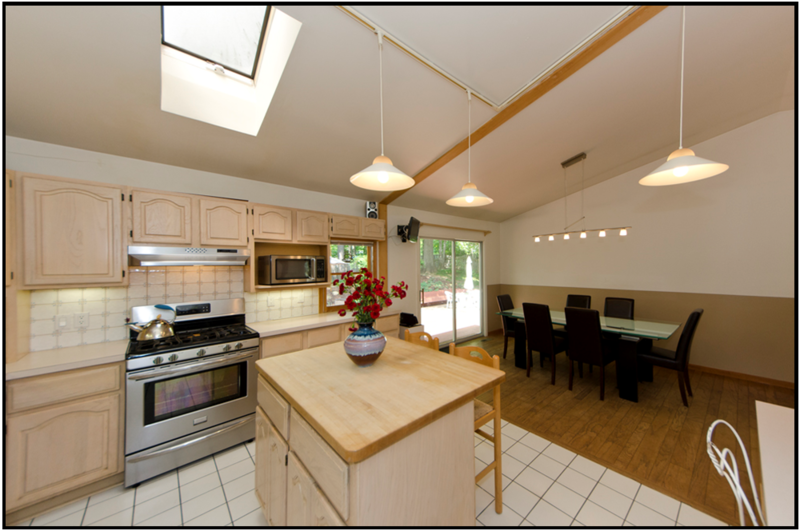 You can get a peek at 47644 Windrift Terrace photos here! If you’ve been waiting to find a single family home in the popular Wolftrap Elementary School District – NOW is your opportunity! The price on our listing on Prelude Drive has been reduced to $659,000 and with one exception (a 1959 rambler on Beulah Rd being sold “as is”) – it’s the lowest priced home for sale both in Tiburon and in the Wolftrap ES area! Call (703) 242-3975 to schedule a showing! 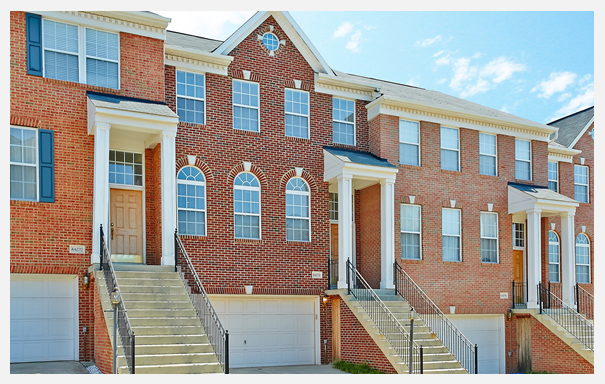 Townhouse in Ashburn Village Just Listed! 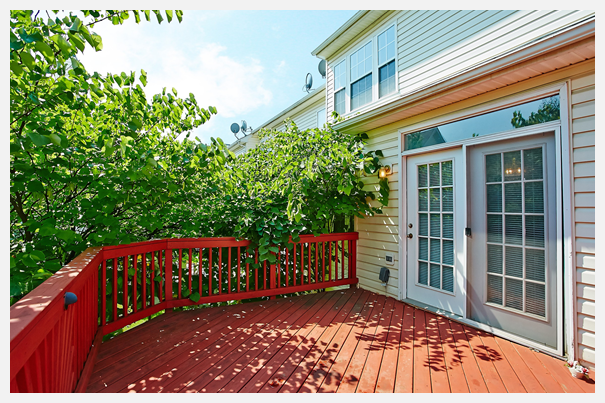 We just listed a fabulous, move-in ready townhome in popular Ashburn Village! Here’s a sneak peek!